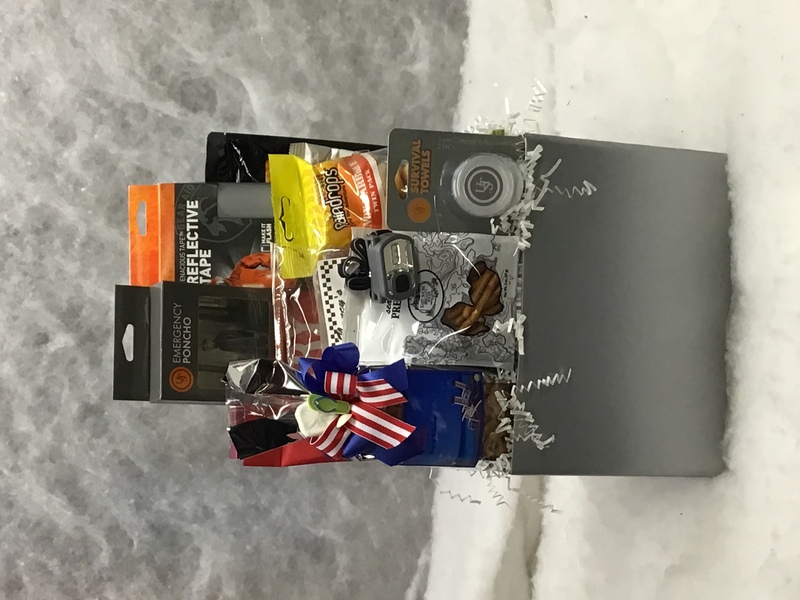 This particular retiree loves the great outdoors and hunting so his basket has a reflective tape, emergency poncho, towels, head lamp, retirement snack mix, cheddar and rosemary chips, root beer hard candies, seasoned pretzels, spicy snacks, popcorn, and candy kabobs. It’s good to retire! $25.00 for shipping and personal delivery. If additional shipping cost exceeds $25.00 we will contact you.